In light of President Trump’s ongoing inflammatory rhetoric about a border wall, and even as another migrant caravan forms in Honduras, it’s heartening to hear about badasses who are taking risks and actually trying to learn about the people migrating north. Gavin Rogers, a San Antonio pastor, is one such individual. 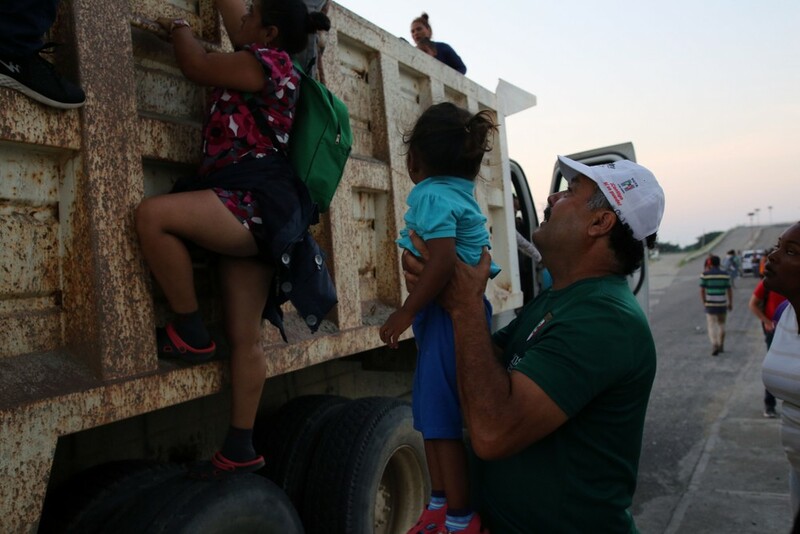 In late 2018, Rogers decided to find out for himself who the migrants are, spending five days with a US-bound caravan as it traveled from Mexico City to Guadalajara. He talked to the migrants, listening to their stories, and then visited them twice in Tijuana after they arrived at the border. What he learned presents a stark contradiction to the ominous portrayals of the migrant caravans presented by Trump. As Rogers got to know his new companions, the stories he heard were sobering. Many migrants are fleeing corruption and violence. “I have met people on this trip that have had their children kidnapped or possibly . . . murdered, their cousins and older brothers have been killed,” he told News 4 San Antonio. In fact, for some migrants who have already been deported back to Honduras, the return means a death sentence. Such was the case for Nelson Espinal, who joined the migrant caravan in October. Espinal was denied asylum in the United States and deported back to the Honduran capital, Tegucigalpa, only to be shot and killed in December. Espinal, who was shot 15 times, had resisted joining the local gang; ensuing death threats were what had prompted him to migrate in the first place. “When [the gangs] get their eye on someone, they search them out again and again,” Espinal’s sister Patricia told the Guardian. By contrast, the dangers of migration seem almost tenable. “[The migrants] are thinking, I want a life free from threats from gang members and corrupt police and kidnappings and constant payments to a corrupt system,” Rogers told KENS 5 News. In a political climate fueled by fear, Gavin Rogers is intent on retaining his humanity—and honoring the humanity of others.